The Four-DLB gives you a wide range of serging features in a compact machine. 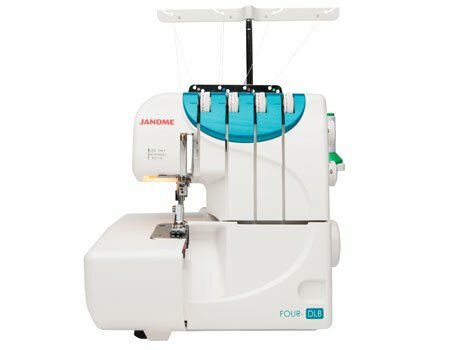 Its sturdy design and precise Janome stitch mechanism ensures beautiful 3/4 thread operation. The Four-DLB allows you to cut, seam and finish all in one step for a professional result every time- and at speeds up to 1,300 stitches per minute you'll get your work done fast!